Driftless Pastures - GET IN TOUCH ANYTIME!!! CALL, TEXT OR EMAIL ANYTIME! We'd LOVE to talk PIG with you! Our farm is on Taylor Ridge Rd 1 mile off HWY 27 outside Seneca WI.Farm tours highly recommended. 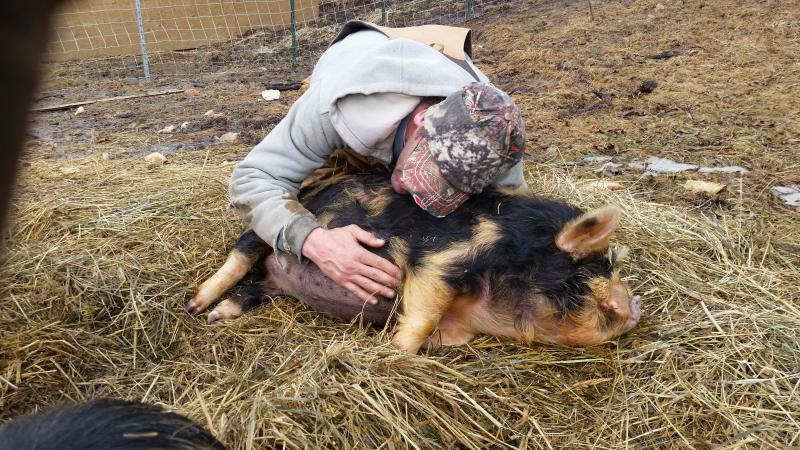 Our pigs are raised with love and respect...belly rubs are a daily occurance!